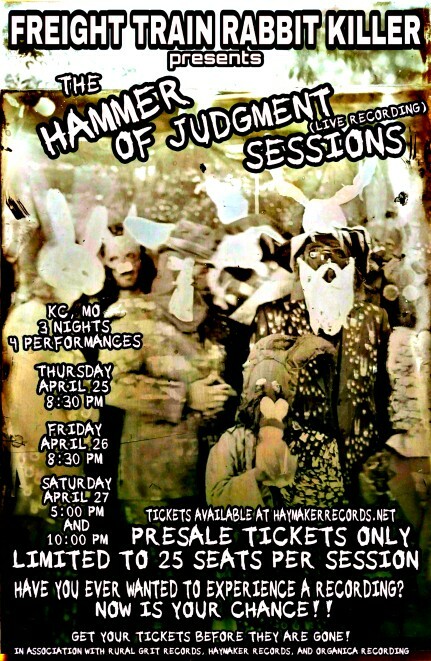 Freight Train Rabbit Killer “Hammer of Judgment” Recording Session Tickets Recently updated ! Freight Train Rabbit Killer want YOU to be a part of the next album!! Enjoy a once in a lifetime opportunity to experience the recording of a full length album. 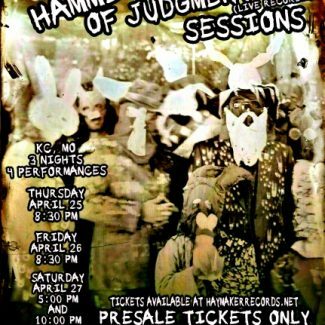 Hammer of Judgment will be released in vinyl LP and other formats on Haymaker Records in October 2019. This album will be created from the music captured at four different live recording sessions with the best tracks pressed to vinyl. Check out the online shop items below for advance pre-sale ticket options and the four different bundles (featuring limited items and pre-orders unique to this special set of performances). The music festival Outer Reaches, in its seventh year, emphasizes musical acts experimenting and pushing boundaries. The fest aims to showcase the ‘out there,’ left-of-center, under-the-radar musical acts performing captivating live music. The shows are 18+ and feature acts from a variety of musical genres with accompanying video projection. 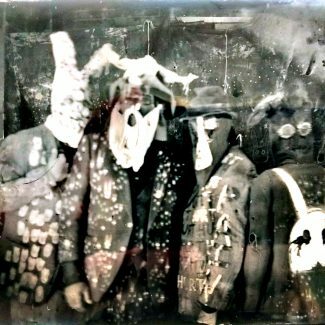 Friday, October 26 will also function as the release date for Volume 4 of Freight Train Rabbit Killer‘s “Wake Snake Death Dance” 7-Inch series. This is the final piece of the puzzle for solving the treasure hunt. The 7-Inch record will be available first at the band’s performance at Outer Reaches 2018 with only 100 copies available in blood red. 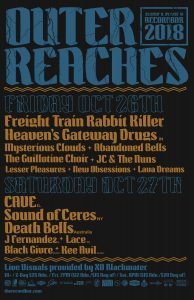 Be sure to check out Outer Reaches FEST Night 2 at recordBar on Saturday, October 27th. Outer Reaches 2018 is made possible from the help of Midwest Music Foundation and a grant through the Kansas City Neighborhood Tourist Development Fund. 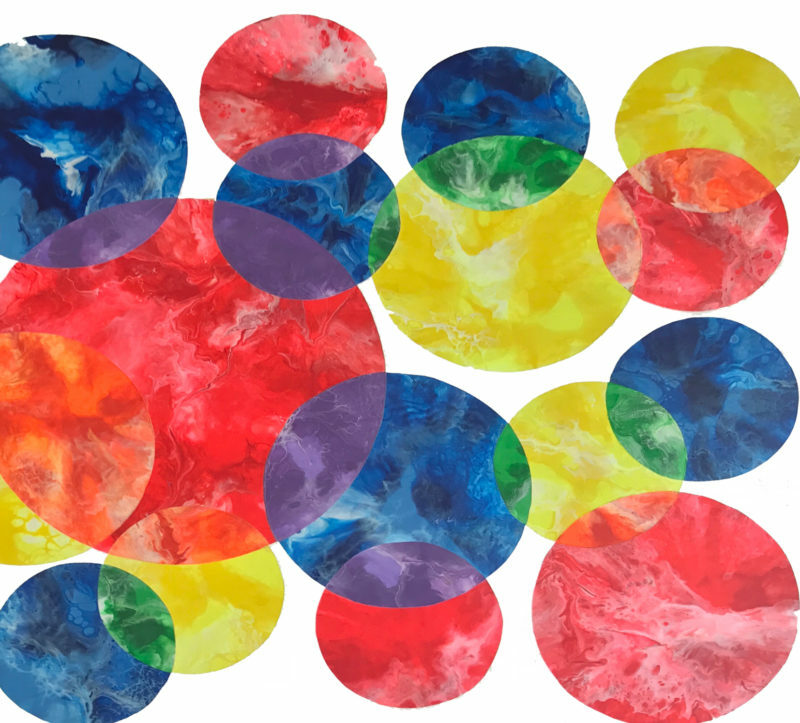 Outer Reaches is happy to be an official Expanded Field Partner of Open Spaces KC, a contemporary art experience with visual creations and performances by local, national and international artists transforming the city for 9 weeks. 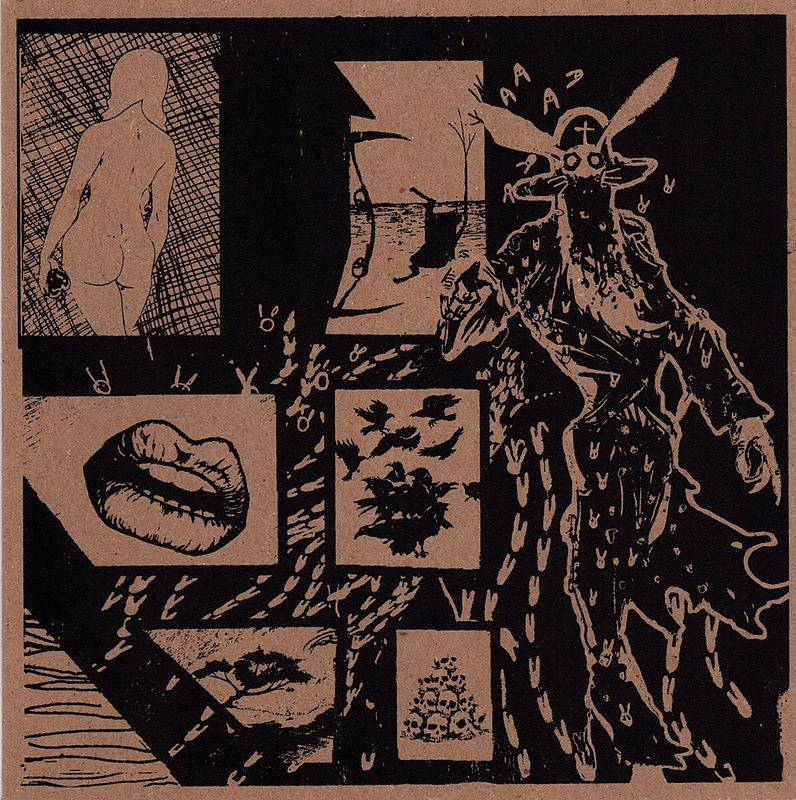 Freight Train Rabbit Killer‘s “Wake Snake Death Dance” Vol. 3 is available for pre-order on 7-Inch vinyl from Haymaker Records in black vinyl and limited edition blood red vinyl. 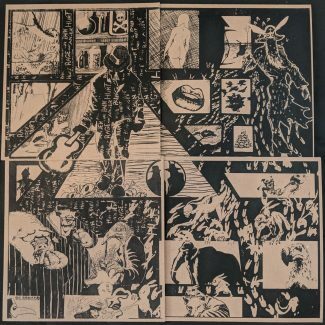 The sleeves are hand screen-printed by the band themselves. Orders will ship around the end of July. You can also pre-order the entire four volume 7-Inch bundle of “Wake Snake Death Dance”. Haymaker Records releases the EP My Head is Going Round by psychedelic rock group Mysterious Clouds on cassette, CD, and digital media on Friday May 25, 2018. My Head is Going Round is the fourth release for Mysterious Clouds and will be celebrated with release parties in Kansas City, MO and Lawrence, KS. The first album release concert will be held at The recordBar, 1520 Grand Blvd, Kansas City, on Thursday May 24th at 7PM. 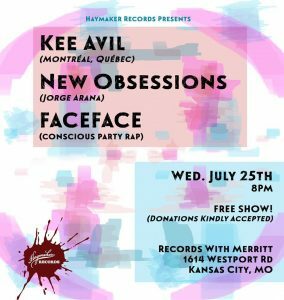 Haymaker Records artist Jorge Arana Trio will join the bill and be recording their set for a future live album release. Kansas City band Temp Tats will open the night. Saturday June 2nd, Lawrence will play host with a release party at Replay Lounge, 946 Massachusetts Street, with CS Luxem and The Beholders. 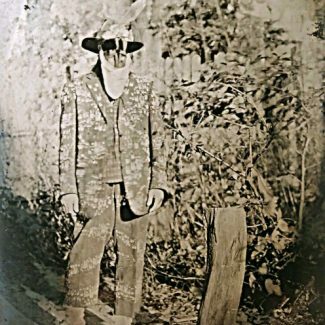 Mysterious Clouds is the musical work of Kansas City, Kansas musician Dedric Moore with songwriting assistance from his brother Delaney Moore. The group formed in 2015 and includes several members from the brothers’ other band Monta at Odds. 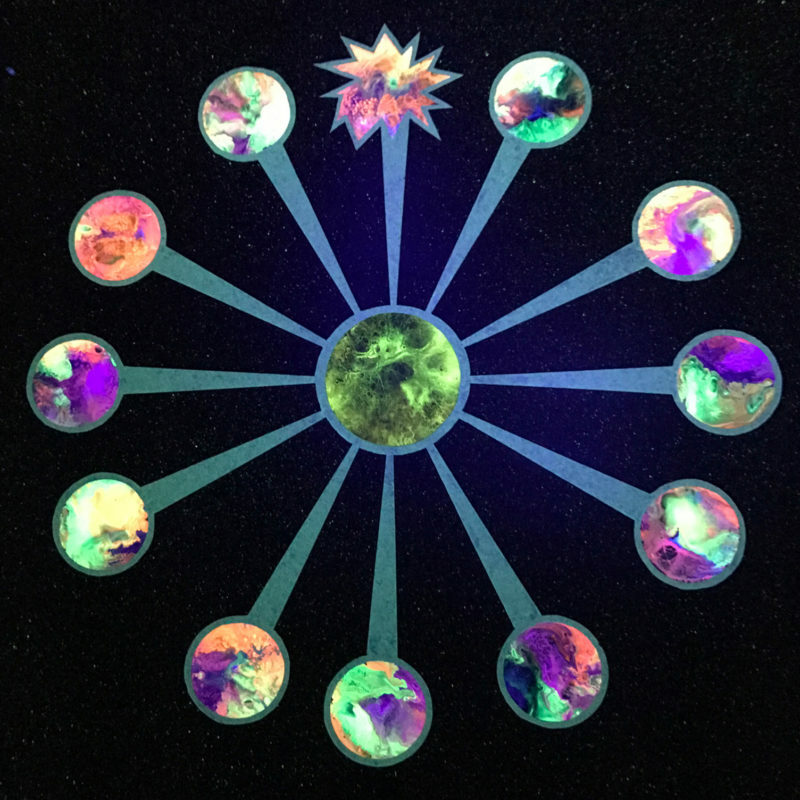 Mysterious Clouds was created to explore various forms of psychedelic music and the darker elements of nature with inspirations from 60’s Italian cinema, 70’s British TV action music, San Francisco hippie psychedelic rock, garage rock, and post-punk. While recording the 2017 album Panic on the Noon Meridian, Delaney Moore (yes, the hidden brother) started feeding the band a steady stream of lost West Coast ’60s psychedelic music. These nuggets helped the band steer through the heavy vibe of the studio and inspired an outlet, a light from beyond, a way to come through this in one piece: the new My Head is Going Round EP. Taryn Blake Miller, of Your Friend fame, has been an ally of the band since performing at KC Psych Fest II. Random meetings turned into hangouts and discussions about working together. Stars aligned and Taryn took a break from recording her second LP for Domino Recordings, stopped in at Monta At Odds HQ, and immediately became the sister of the guys. She got it! And even better, Taryn added vocals to the summer-vibe songs that take them to that higher atmosphere. Along for the ride are Adam Davies (Janet the Planet, Monta at Odds) on guitar, baritone guitar and vocals; Zach Bozich (Monta at Odds, In the Back of a Black Car) on synths, electric piano, and vocals; Matthew Hayden (Monta at Odds, Found a Job) on drums, Aaron Osborne (Monta at Odds, Expo 70) on percussion, Brian Hodes on bass and guitar; and Delaney Moore (Monta at Odds, Gemini Revolution) on additional synths. The music on My Head is Going Round works its way through laconic grooves, reverb-drenched guitars, classic extended fuzz solos, mellotron orchestrations, Middle Eastern ragas, and tape echo’ed vocals. The EP is Perfect for driving, relaxing on the beach, low settings on the treadmill, foggy basements, and basking in the sun. My Head is Going Round EP is available digitally as well as on cassette and CD-R from Haymaker Records. Pre-order “My Head is Going Round” EP now. Haymaker Records and label upstart Bullseye Records announce an intimate night of otherworldly music at The Greenwood Social Hall on Tuesday May 29, 2018. 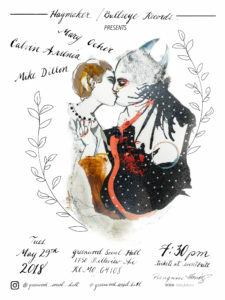 The show will feature a solo vibraphone performance by Mike Dillon (New Orleans, LA), the raw emotional pop music of singer-songwriter Calvin Arsenia (Kansas City, Missouri), and the ethereal avant-pop of Mary Ocher (Berlin, Germany). This all-ages event will be held at 7:30PM in Kansas City, Missouri at The Greenwood Social Hall, 1750 Belleview Ave., with a $20 advance general admission ticket purchase. The night’s entertainment takes place in the comfy confines of the private arts venue The Greenwood Social Hall. Converted from a 1920s Baptist church, the space offers an intimate setting and amazing natural acoustics suitable for the performances on vibraphone, harp, piano, guitar, keys, percussion, and vocals. The Greenwood Social Hall was featured in a recent spread by the The New York Times. Mike Dillon has been praised as a “punk rock provateur”, a “jazz vibraphone visionary”, and a “percussion virtuoso”, having worked with such artists as Les Claypool, Rickie Lee Jones, and Ani Difranco and performing in groups such as The Dead Kenny G’s, Critters Buggin, Hairy Apes BMX, and Billy Goat. Dillon joins the stage after multiple May appearances at New Orleans Jazz Fest. Recent Bullseye Records signing Calvin Arsenia, accompanied by a percussionist, will highlight his skills on harp, piano, and classically trained voice. A mix of bizarre and experimental musings with swooping, hearty melodies, and raw acoustic emotion form the gentle, heartfelt style that defines his music. Berlin multidisciplinary artist Mary Ocher’s work is as enchanting as it is polarizing, guiding itself through genres as diverse as traditional folk, raw 60s garage, synth-driven ambient, and experimental pop. She’s back in North America with her new album “The West Against the People” and its companion release “Faust Studio Sessions”, following a European release tour of 20 countries. 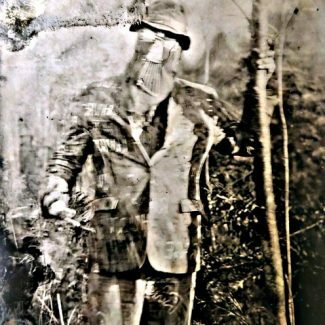 “The West Against The People” was released on the German label Klangbad in spring 2017 and recorded with Hans Joachim Irmler of Krautrock pioneers Faust. Please review the Facebook event page for complete details on the event. Tickets are available through Eventbrite. 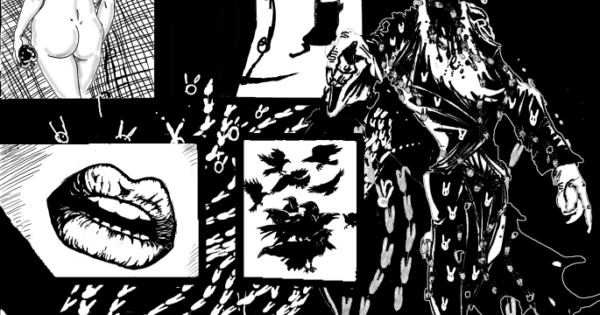 We have an update on the 2nd Volume of the Wake Snake Death Dance 7-Inch Series Volume #2. The official release date is Friday, April 13th with a release party at recordBar in Kansas City, Missouri. Pre-orders will be mailed out Saturday, April 7th. The two new tracks are “The Tree of the Knowledge of Good + Evil” and “Pesky Serpent”. Both songs were written by Ike Sheldon of The Wilders with arrangements by Mark Smeltzer. Note: As of February 2018, all of the blood red vinyl copies of Vol. 1 are sold out, but we still have some copies of the black vinyl available. The bundle package from this point on will contain the black vinyl issues of Vol. 1 (not red) and the bundle price has been reduced slightly as a result. Congratulations to everyone that snagged a limited edition copy of the blood red, these things have been selling quickly. 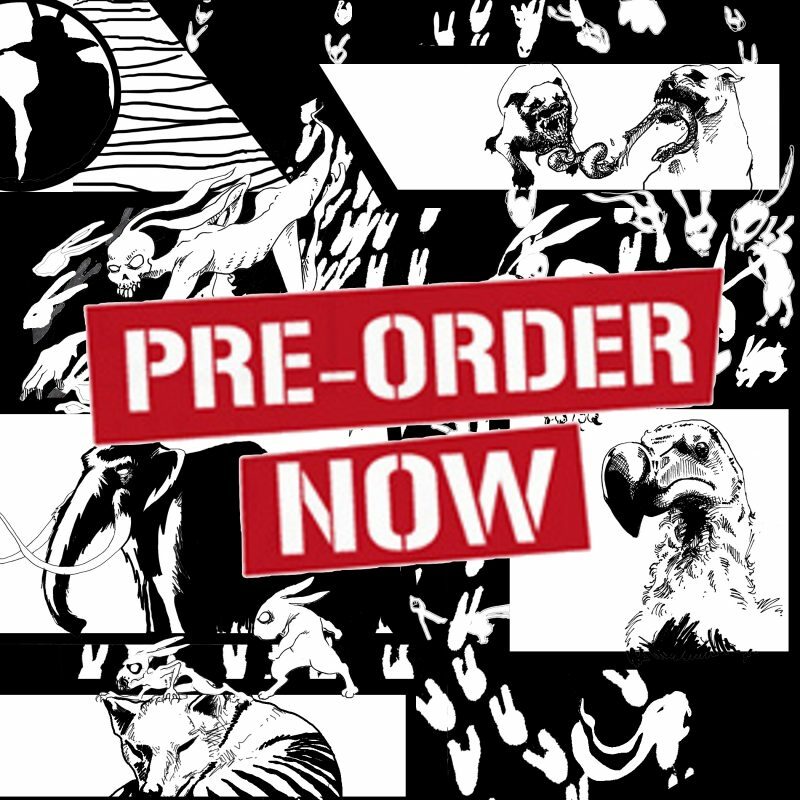 Pre-order “Wake Snake Death Dance” Vol. 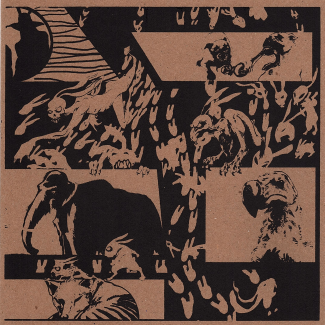 #2 now or pre-order the entire four volumes of the “Wake Snake Death Dance” 7-Inch Series Bundle. 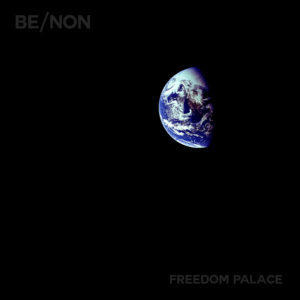 Haymaker Records is proud to release the long-lost art-pop album Freedom Palace by Kansas City rock band Be/Non. Wednesday, January 17, 2018 sees its release in digital media formats. The “troubled” Freedom Palace was recorded over 12 years ago but never saw the light of day for a variety of reasons. Why would we release a mid-2000s album now? How does a 12 year old album sound now? Why should anybody care about this lost time capsule? Frankly because this album is just plain awesome. This is an album that must be listened to if you have a passion for rock music and quirky pop sensibilities. Freedom Palace enters all new territory in arrangements and lyrical content and finds itself as the most pop-friendly and accessible recordings of the Be/Non catalog. At the time of its recording in 2006, Be/Non were positioned at the top of a solid crop of inventive hard-working bands in Kansas City. Nearly every show they played that year was filled to capacity. Local press coverage was great and the antics of the band and crazy performances became legendary. As the fall rolled around, Kansas City anxiously awaited for the new album Freedom Palace. There was a palpable energy in the air. Would it sound as good as the live material they had been showcasing? What recording tricks did front man Brodie Rush and sound engineer Paul Malinowski have up their sleeves? Was this going to be the album that put Kansas City music on the map again? The release date approached… and then….nothing… ….. 2007 passed and word spread that the band had split up. 2008 came and went and people began forgetting altogether about Freedom Palace, short of a few music-obsessed nerds (no doubt represented well with now Haymaker Records staff). 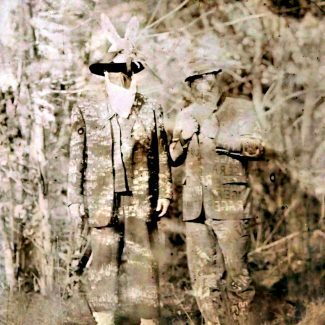 2009 arrived and fans were granted a reprieve with a new Be/Non album, the synth-heavy Brodie Rush head trip A Mountain of Yeses. 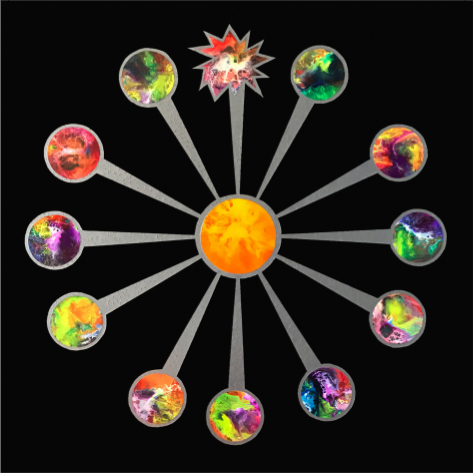 2015 followed with another full-length as Haymaker Records released the meditative space-rock album “Mystic Sunrise / Sunset Magic”. All along though, there was still this void, this broad gap between the bands’ two late-’90s releases on New York City indie label Turnbuckle Records and the 2009 album A Mountain of Yeses. Now, on the 12th anniversary of its original recording date, the Freedom Palace album is finally ready to be revealed to the world. Be/Non and Haymaker Records would like to present the final mix, the way it was originally intended. A time capsule of compositions, energy, and productions that never saw the light of day. We present to you, with new artwork and updated packaging, Be/Non’s Freedom Palace. Haymaker Records releases a new series of 7-Inch records by doom blues group Freight Train Rabbit Killer on vinyl on Saturday October 28, 2017. “Old Man of the Mountain” / “Maybe It’s You” is the first 7-Inch in the “Wake Snake Death Dance” 7-Inch Series and will be celebrated with a FREE release party in Kansas City, Missouri at Stockyards Brewing Co., 1600 Genessee St. #100, Kansas City, MO, on Saturday October 28 th at 8PM. Freight Train Rabbit Killer is a duo made up of Kris Bruders (Freight Train) and Mark Smeltzer (Rabbit Killer). 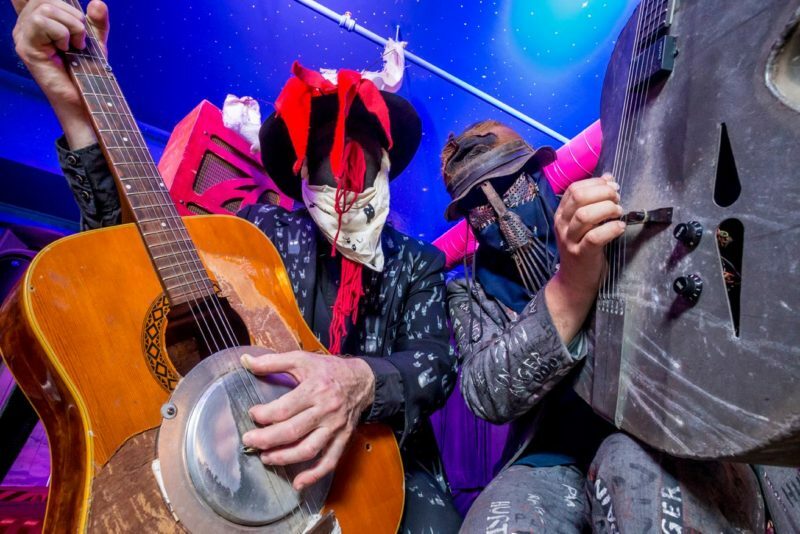 Described as a heavy doom blues American Roots opera – a shaman of the hills and a vigilante bent on justice, they have been performing out of their hometown of Kansas City, Missouri and on the road for three years. It’s storytelling through music, doom blues with screaming electric guitars, all accompanied by suits and masks. 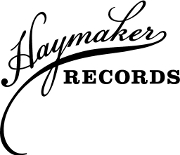 The 7-Inch series is a collaborative effort of Kansas City’s Haymaker Records and the groups’ own imprint Rural Grit Records and will be represented with four separate 7-Inch releases over the next year. The four 7-Inch records are a part of a greater puzzle, assembled by the band and complete with riddles, codes, and maps. The goal of this interactive game is to eventually lead the listener to a trove of artifacts revealed with the final release in the series. 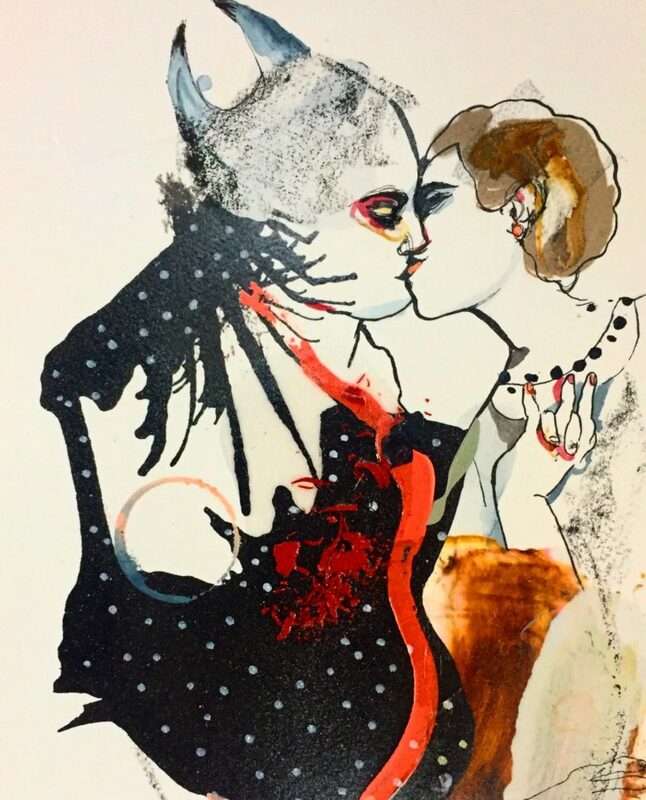 The hand screen-printed artwork for each volume will combine to create one larger piece of art. Through a special crowd-funding campaign, the entire four 7-Inch bundle can be pre-ordered and delivered separately at the time of release. An option will also be present for donating money to the trove of artifacts awarded to the winner of the interactive game. “Old Man of the Mountain” / “Maybe It’s You” is the first 7-Inch in the series and will be released on a limited run of 100 blood red hand-numbered copies with a limited number on black vinyl thereafter. 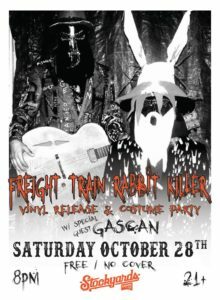 Freight Train Rabbit Killer will be joined by Kansas City punk rock group GASCAN for the Stockyards Brewing Co. release show on October 28th. The release party is a FREE event and will be celebrated with a special Halloween costume party beginning at 8PM. In addition to the release show, Freight Train Rabbit Killer are one of the featured performers the following night, Sunday October 29th at recordBar for SocialHeart’s Rockin’ Halloween benefit for Midwest Music Foundation. 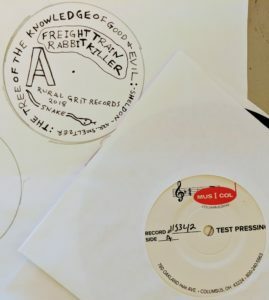 Copies of the new 7-Inch vinyl record of “Old Man on the Mountain” / “Maybe It’s Me” will be made available to the public for the first time at these events. Check out the Facebook event page for complete details on the event. Pre-order “Old Man of the Mountain” / “Maybe It’s You” or the entire four 7-Inch bundle now! The music festival Outer Reaches presents its sixth annual live music festival. 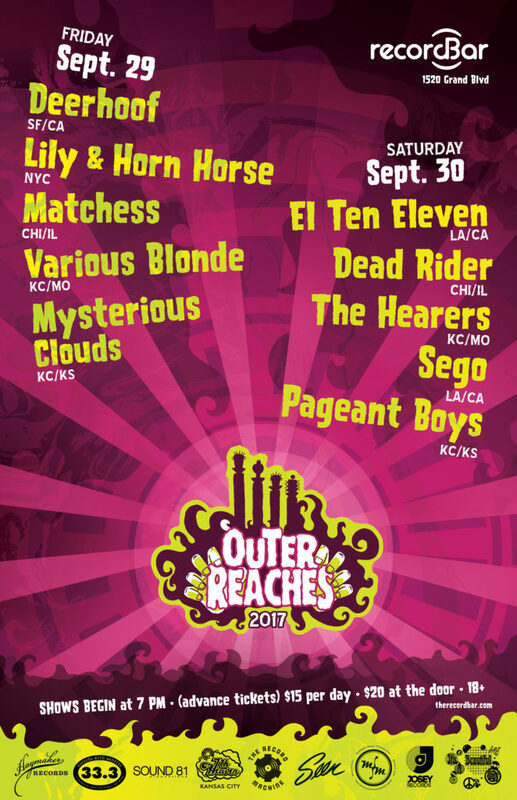 Outer Reaches, (formerly KC Psych Fest), emphasizes musical acts experimenting and pushing boundaries within a variety of musical genres. The fest aims to showcase the ‘out there,’ left-of-center, under-the-radar musical acts performing captivating live music. On Friday, September 29 and Saturday, September 30, 2017, the festival Outer Reaches will take over recordBar (1520 Grand Avenue) in Kansas City, Missouri. The show is 18+ and there are ten musical acts performing over two days. More acts to be added later. 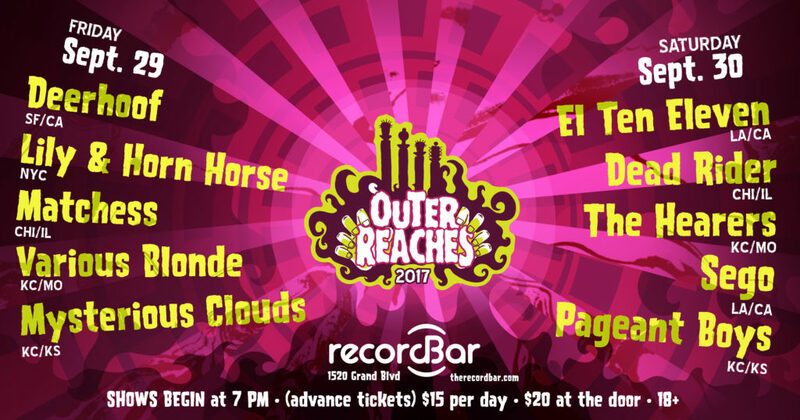 Tickets are $20 each day, with $15 advanced single-day tickets available from the recordBar website and physical location. 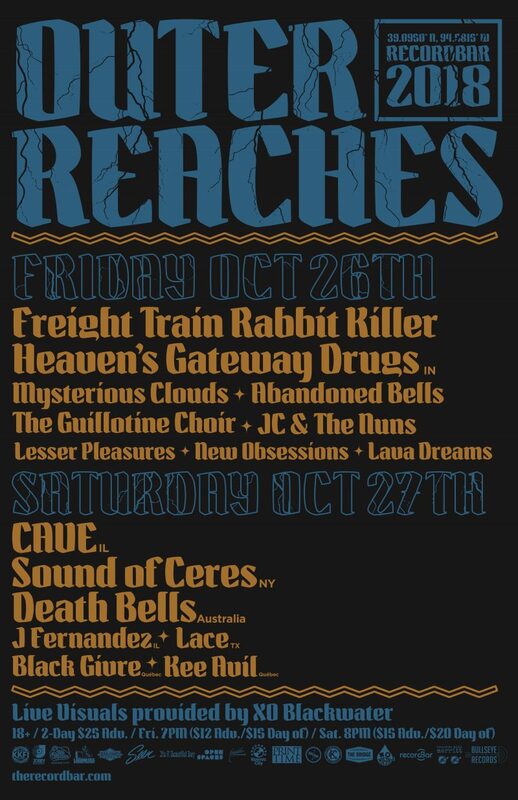 For more information on the festival, visit www.outerreachesfest.com. Also review the Facebook Event Page.